If you own property that no one is living in and damage occurs, you may be left footing the bill. Insurance companies consider vacant homes riskier to insure than occupied homes. There are few reasons for this, but one of the main reasons is vandalism. Empty homes and construction sites are attractive targets for thieves and vandals. Because of the heightened risk, your standard homeowner’s policy won't cover damage from vandalism if the home is vacant. This means someone could wander onto your property, burn it to the ground, and you’d be stuck with the full cost of rebuilding. Liability is another big issue, especially if the property is being remodeled or in need of repair. If someone gets hurt (even if they are trespassing on your vacant property), they may be able to successfully hold you liable for their injuries. Water is an issue as well. If a pipe bursts, no one is there to notice and there will be a lot of damage until someone checks on the house. 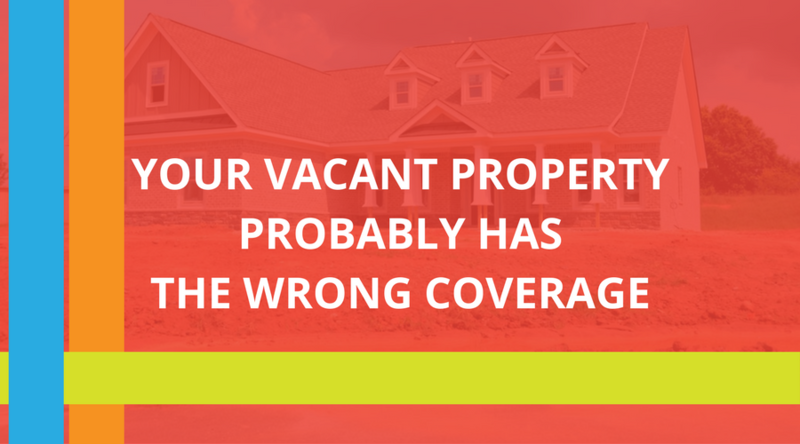 So if you own vacant rental property, it’s important to either quickly find a tenant or change your coverage to a vacant property policy while the property is empty. House flippers often buy the cheapest insurance coverage possible to increase their margins and avoid vacant property coverage because it is more expensive. Doing so is usually a mistake. If the property is damaged by vandalism, fire, burst water pipes, or some other event and the owner carries a standard homeowner’s policy, they won’t be covered. This isn’t a rare occurrence and brings an early end to the careers of many would-be home flippers. Even with vacant property coverage, it’s important for property flippers to make sure all contractors carry their own liability insurance. This will protect them from liability issues if something occurs during remodeling or after the home is sold. If a contracted electrician incorrectly wires the house and it burns down in an electrical fire after someone buys it, the liability should be on the electrician, not the house flipper. If the electrician wasn’t carrying liability insurance, liability falls on the house flipper. If you’re flipping property, make sure all of your contractors can provide you with proof of liability insurance. If you already own an empty property or have a project planned, we may be able to help. Give us a call and we can talk through the coverage that would be most appropriate for your property.